Wow…it’s been a while since I’ve posted something. Since June 26th as a matter of fact. That’s when I posted my 25 Birthday Goals. I have to say I’m a busy busy bee right now. I got engaged in April and wedding planning can take up a lot more time than you think. But I’m back! And one of my birthday goals was to write more blog posts this year and I’m so far behind. It’s already August and there’s a lot of catching up to do. Hope I didn’t lose any of my wonderful supporters along the way. I’m getting back into the game by sharing the most recent book I got. 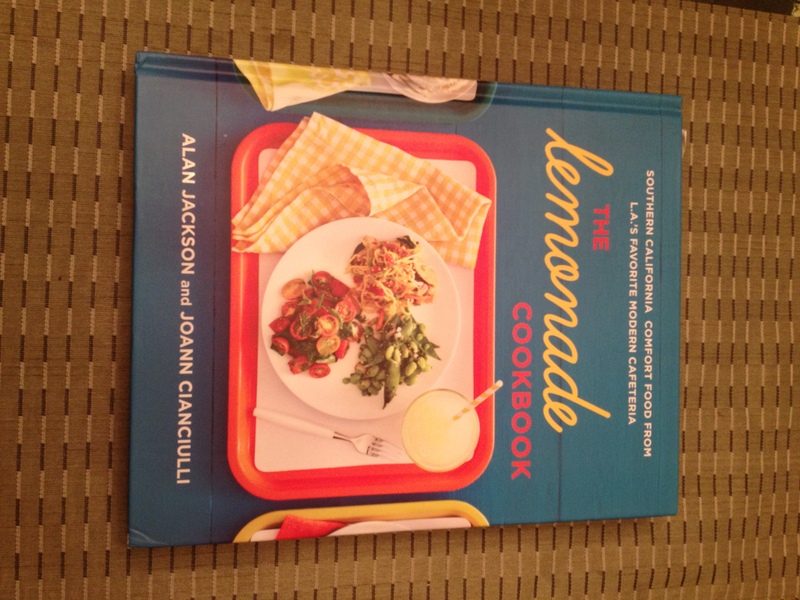 My wonderful fiancé…can’t believe I get to call him that now…got me the cookbook I wanted from a restaurant in the Los Angeles area called Lemonade. Trust me, they have more than just Lemonade. I’ve only been able to cook one recipe at this point, but I’m excited to go through this cookbook. Leave a comment letting me know what you’ve been up to lately. Congrats on your engagement! What an exciting time! Thank you. It’s so exciting and scary at the same time.